The ideal start page for a visit of Action Man HQ. What to look out for when buying or selling Action Man figures, including spotting repro dog tags, hands etc. Animated Painted Head Commander with sound files in .wav format. Other Action Man sites, including items for sale, other images and information and places to visit etc. Find every uniform and figure ever made for the original 1966 - 1984 vintage Action Man here. 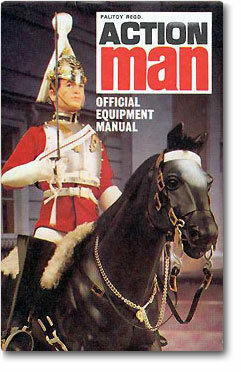 Research your Action Mans uniform or accessories by viewing the original brochures or catalogues. The Action Man Star Card scheme, wherby you collected stars from the packaging and traded them for accessories or new figures. Includes papers, books, wallpapers and records.